Asia is a damned excited part of the world. And Singapore is the financial epicenter of all of it. For the last 24-hours, banker and fund manager friends of mine have been telling me stories about oil refinery deals in North Korea, their crazy investments in Myanmar, and the utter exodus of global wealth that is finding its way to Singapore. My colleagues reported that in the last few weeks they’ve begun seeing two new groups moving serious money into Singapore– customers from Japan and India. Both are very clear-cut cases of people who need to get their money out of dodge ASAP. In Japan, the government has indebted itself to the tune of 230% of GDP… a total exceeding ONE QUADRILLION yen. That’s a “1″ with 15 zerooooooooooooooos after it. And according to the Japanese government’s own figures, they spent a mind-boggling 24.3% of their entire national tax revenue just to pay interest on the debt last year! Apparently somewhere between this untenable fiscal position and the radiation leak at Fukishima, a few Japanese people realized that their confidence in the system was misguided. So they came to Singapore. Or at least, they sent some funds here. Now, if the government defaults on its debts or ignites a currency crisis (both likely scenarios given the raw numbers), then those folks will at least preserve a portion of their savings in-tact. But if nothing happens and Japan limps along, they won’t be worse off for having some cash in a strong, stable, well-capitalized banking jurisdiction like Singapore. India, however, is an entirely different story. It’s already melting down. My colleagues tell me that Indian nationals are coming here by the planeful trying to move their money to Singapore. Over the last three months, markets in India have gone haywire, and the currency (rupee) has dropped 20%. This is an astounding move for a currency, especially for such a large economy. As a result, the government in India has imposed severe capital controls. They’ve locked people’s funds down, restricted foreign accounts, and curbed gold imports. People are panicking. They’ve already lost confidence in the system… and as the rupee plummets, they’re taking whatever they can to Singapore. Many of them are taking serious risks to do so. 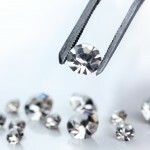 I’ve been told that some wealthy Indians are trying to smuggle in diamonds… anything they can do to skirt the controls. The contrast is very interesting. From Japan, people who see the writing on the wall just want to be prepared with a sensible solution. They’re taking action before anything happens. From India, though, people are in a panicked frenzy. They waited until AFTER the crisis began to start taking any of these steps. As a result, they’re suffering heavy losses and taking substantial risks. The same contrast holds true for anyone else. Each of the international diversification topics we routinely discuss– like establishing a foreign bank account or second residency overseas– make sense in theory, on an intellectual level. But they might not be a priority right now. Life gets in the way. Looking at the contrast between these two groups, though, underscores how important it is to take these steps early while the window of opportunity is still open.